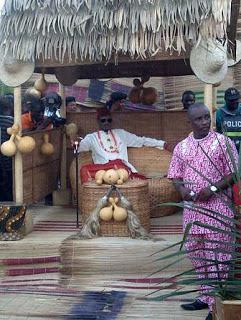 The highly popularized traditional wedding ceremony of Nigerian singer Tuface Idibia and Nollywood actress Annie Macaulay that took place in Eket today was a success. 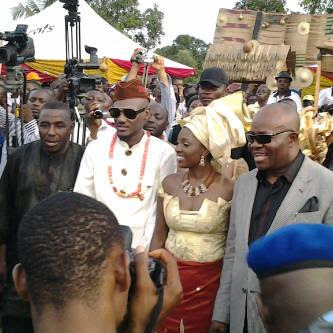 Several Nigerian celebrities stormed the city of Eket in Akwa Ibom state on Friday afternoon to celebrate 2face Idibia and Annie Macaulay’ wedding. 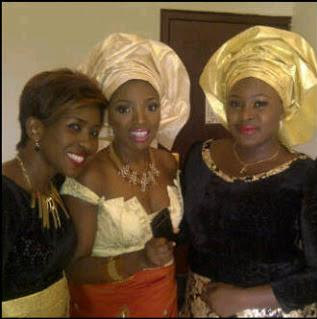 Nollywood actress Ini Edo, Chika Ike, Kate Henshaw rocked the ceremony today with a couple of others. We learnt the governor of Akwa Ibom state, gave the couple a brand new Prado jeep. They have scheduled their white wedding for March 23rd in Dubai. Wishing them happy married life. 2Baba contrat am happy 4 you my hero carry go. ‘i heard some people said i will never find a wife bt i will do my things my way oh my brother no be fight, sometimes i might be wrong, sometimes i might be right…’ now you got the wife, a true african queen, i hope she will take u where you have never being. 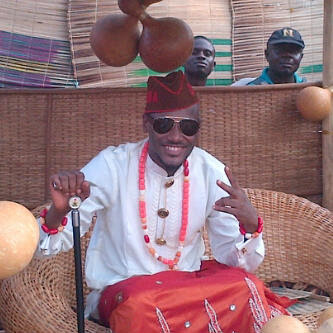 2baba,rejoice bcos God has made everything beautiful n wonderful in ur tym. Tunda faya yhu, are yhu tired??? U’ll use ma dear macauley nd dump ha lyk u use 2…waitin 4 d day ur gona mari ur 6th wife punk!!! wetin dey worry u? 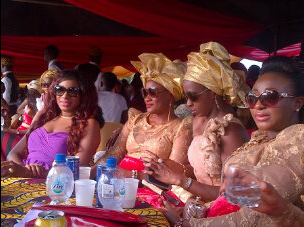 u take something abi na something take u. u no dey fear, u bi mumu, God help u.
very nice traditional wedding, i like it kudos. 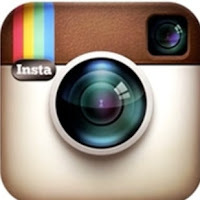 Yes oh…. 2Baba u send dem no,who send dem we no know? All adoration be to God on High you’ve finally made it & I pray it last forever.Kudos dear happy married life!!! After giving birth to sons,what about the rest mothers,any way share,i’m happy for him. Nigerian’s finest carry go unstoppable! 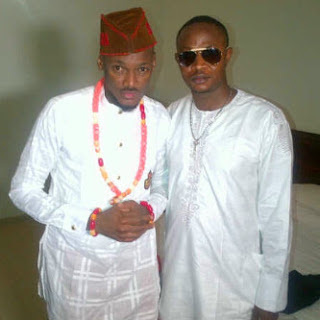 Big kudos to u 2baba, oyi-idoma no dey carry last. Happy married life! 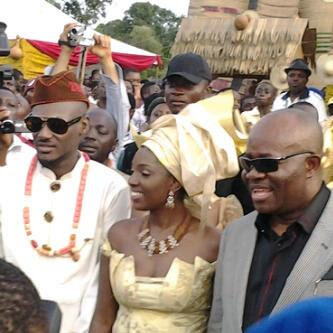 congrarate to u 2baba and ur pretty wife. God bless u all. As u start a family God is there to guid u. Congrat. Even here in the united kingdom we are so happy for you, truely you have make we africans proud here. You have acomplished your african queen track. Congrats! 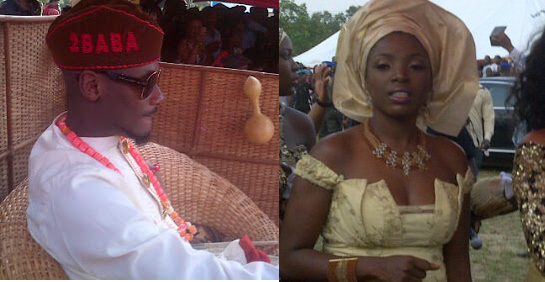 Wat a locky weddin 2 anni after al said an don he stil went 4 her may al glory b 2 G. O. D 2baba d lord is ur strenght. I’ll b at d weddin dat is 4 sure EMMA.J. 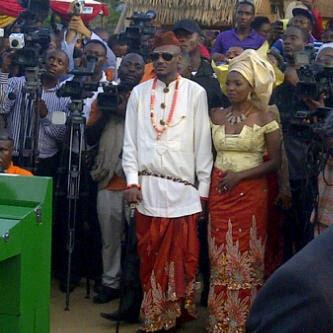 2baba that one dey, carry go o!!!! !